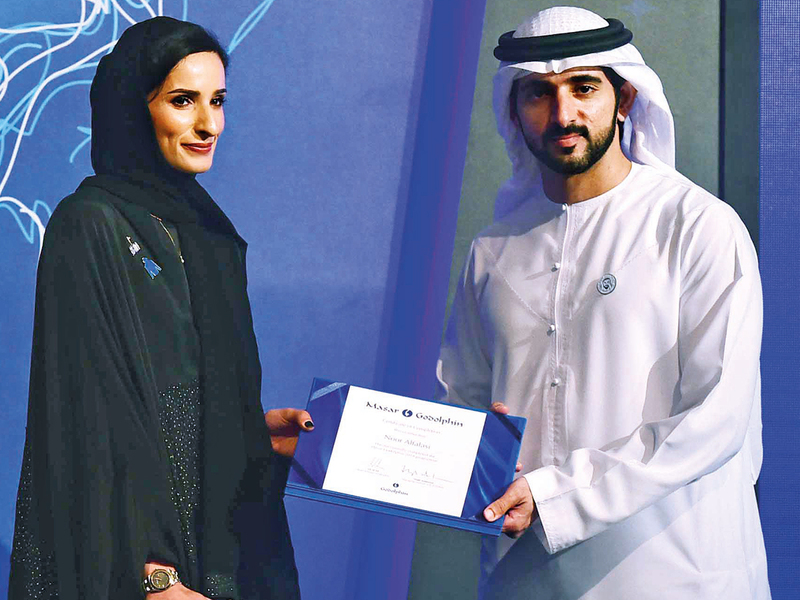 Dubai: A select group of Emiratis were lauded as young women and men making a difference after successfully graduating from a programme created by His Highness Shaikh Mohammad Bin Rashid Al Maktoum, Vice-President and Prime Minister of the UAE and Ruler of Dubai. Shaikh Mohammad created Masar Godolphin, Masar meaning ‘path’ in English, as an academic and experimental programme that provides opportunities to young equine enthusiasts, in the world of thoroughbred racing. 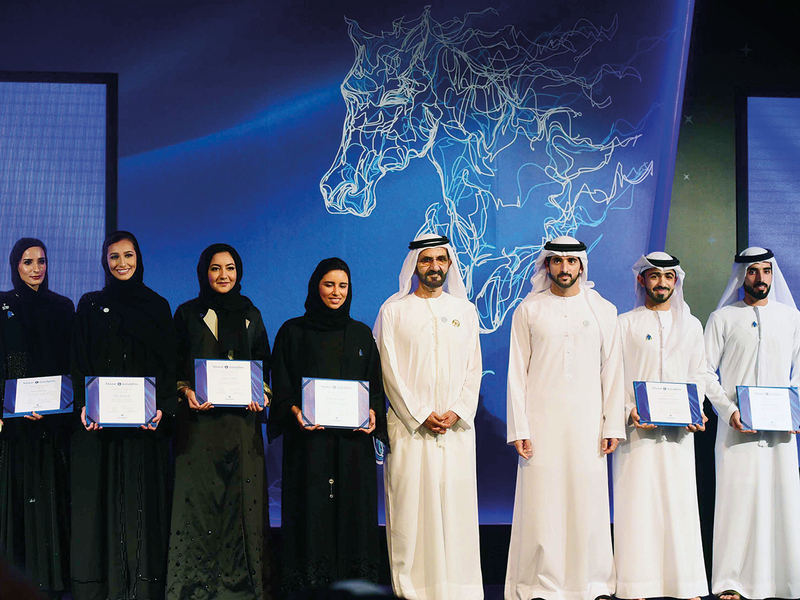 The five women and four men, who received their certificates from Shaikh Mohammad and Shaikh Hamdan Bin Mohammad Bin Rashid Al Maktoum, Crown Prince of Dubai, at the Madinat Jumeirah on Thursday, said that they are united in their mission to inspire others through their outstanding achievements as Masar ambassadors. The Masar programme, which ran from January this year through to October, allowed the trainees to spend invaluable time entrenched in Godolphin’s fast-paced UK operation. Speaking at the graduation ceremony, Godolphin CEO Hugh Anderson said: “Masar was created to create leaders and to introduce talented young Emiratis to an industry that we are passionate about, like His Highness Shaikh Mohammad. “Great leaders are not just born, they need to learn from experience. These young students have gained in a large way. At the British Racing School, where they learned about horsemanship, at the British Army at Sandhurst, where they learnt about military leadership, and at the London West End, where they learned about presentation skills. “But mostly they learned from our trainers and people at Godolphin and everyone at Godolphin has learnt something from having these intelligent people spend time with them,” he added. Noor Al Falasi, who holds a Master’s degree in Science and is the first Arab woman to set foot in the Antarctic, described the Masar programme as a life-changing experience. Mohammad Mardood, also concurred with Al Falasi that the last ten months with Masar have changed his life forever. Ali Al Ali, Head of Masar Godolphin, said that he is very proud of the Class of 2018, who he said worked hard to accomplish the vision of Shaikh Mohammad. Mohammad Mardood, Ali Al Jaffal, Kholoud Al Hosani, Abdul Aziz Al Noori, Alia Alobeidl, Lamya Al Ali, Noor Al Falasi, Sultan Al Suboosi, Fatima Al Badi.